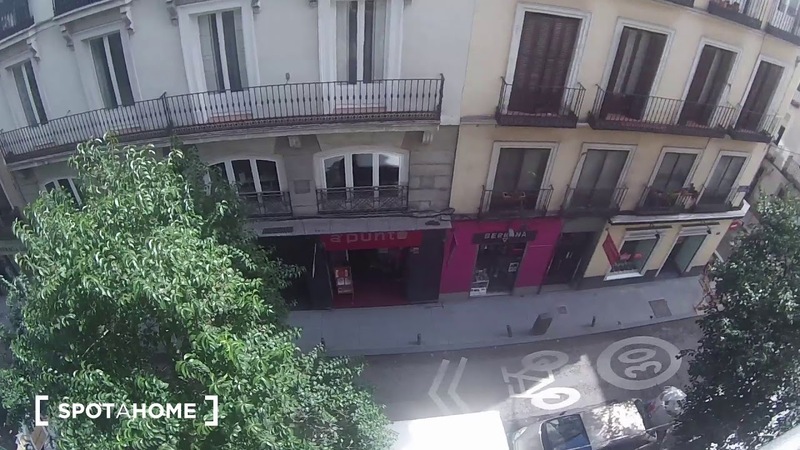 This studio apartment available for rent in Chueca, Madrid comes fully furnished and has a sofa-bed and a flat-screen television in the living room. The 60 m² property has polished wooden floors, an equipped kitchen, and 1 bathroom. In the kitchen you'll find an oven, a microwave, and a small electric stove, while the bathroom has a toilet, sink, and shower. The apartment is located in Chueca, a fun neighbourhood just north of the city centre. From here you are within easy reach of public transport, bars, restaurants and shops. The bed is a sofa-bed, giving you more space. We loved the wooden floors. The television is visible from the bed. There is a Metro station just a 3-minute walk away. The Chueca Metro station, which serves line 5, is a 3-minute walk from the apartment.